The aptly named Mr. Delicious Double IPA from Arbor Brewing. As we patiently await the signs of new life and warmer days ahead, let's celebrate this time of transition with some of those great brews, which are abundant as always in our tasty little neck of the woods. » Big doings at Witch’s Hat Brewing, 22235 Pontiac Trail, South Lyon, beginning today at 7 p.m. with the return of Big Doedish Double IPA in 22 oz. bottles. It’s a limited release, and bottles are $10 apiece, but there is no per-customer limit, so feel free to stock up as necessary. Plenty of other Witch’s Hat news is available here. 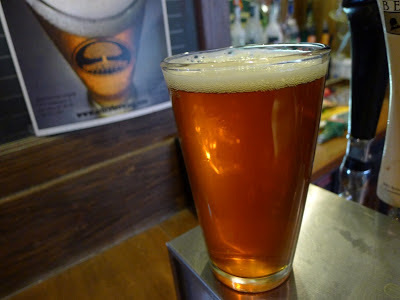 » If you missed it last week, or you just want more, Stone Brewing’s big, bold, badass, aromatic Enjoy By 04.01.13 Double IPA is on tap tonight at Red Rock Downtown Barbecue, 207 W. Michigan, Ypsilanti. To refresh your memory (probably necessary after a glass or two of this 9.4% ABV beast), visit the Enjoy By website for info, videos, gadgets, and Twitter stuff. 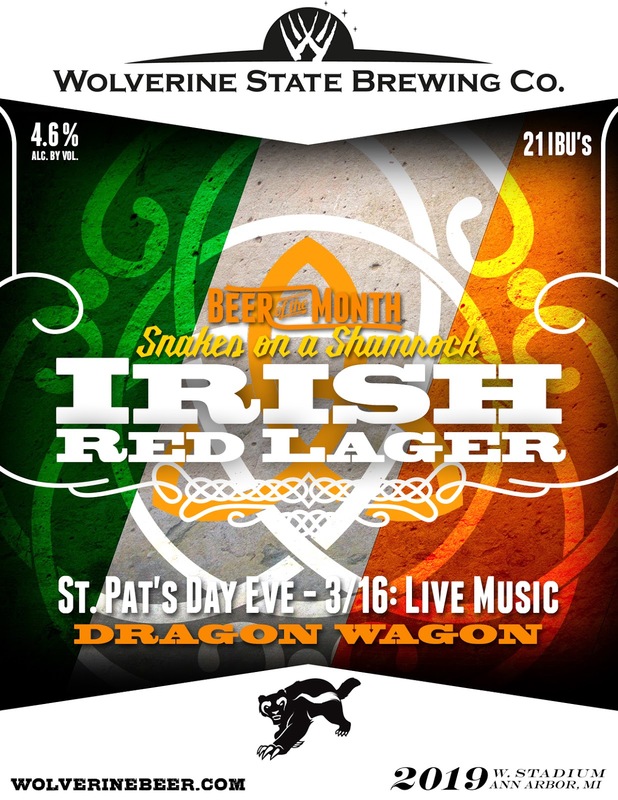 » On tap today at the Wolverine State Brewing tap room, 2019 W. Stadium, the Wolverine Beer of the Month for March: Snakes on a Shamrock Irish Red Lager, a 4.6% ABV palate pleaser to help you warm up for the very stouty weekend ahead. 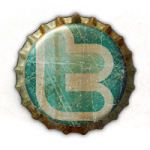 See the pretty artwork here, and get the latest updates from the Wolverine Beer Wench's blog. » Another month, and Ashley’s is still 30 years old. This time, the fine folks of New Holland are helping celebrate, with a special Ashley’s exclusive anniversary beer and a series of events throughout March. Details on said series are TBD, but we do know about the 30th anniversary beer: It’s a special edition of the much-loved Dragon’s Milk Barrel Aged Stout, with Michigan cherry puree added and an additional aging step in cherry bitter barrels. Head on over to 338 S. State at 6 p.m. for this special tapping, along with a dozen or so other great beers from New Holland. Ashley’s should turn 30 more often. » Rat Fest is the beer festival that keeps on giving. Be at the Corner Brewery, 720 Norris, Ypsilanti, at 6 p.m. for the (re-)release of Rat Pad brews from the Sons of Liberty Homebrewing Club, including Almond Joy Porter, Twice Baked Potato DIPA, Gingered Wit, and Chocolate Vanilla Chai Tea. Find out more about the beers here. » Back at Ashley’s, it’s time to welcome another new brewery to Michigan: Southampton Publick House, based on Long Island, New York. East, west, or right here at home, we’re happy to try any beer, so long as it’s good. Make up your own mind beginning at 6 p.m. when the Ashley’s team of beer slingers release the following hounds: Biere de Garde, Biere de Mars, Burton IPA, Double White Ale, and Saison Deluxe. Let’s see what the East Coast has to offer. » All right, it’s not beer, but it does involve malt and alcohol. Sidetrack Bar & Grill, 56 E. Cross, Ypsilanti, celebrates beer’s bigger, brawnier cousin, bourbon, with a bourbon tasting and food pairing. This is also the perfect opportunity to check out the new space Sidetrack has added after acquiring the building next door. Tickets are $25 and include six bourbon samples, tasting notes, commentary from bourbon geeks and distillery reps, and some bourbon-friendly snacks. Buy here or call the lovely and talented Jessica at 734-483-5230 to order by phone. And check out updates on Sidetrack's Facebook page. » The second Thursday of the month means it must be beer tasting time at Arbor Brewing, 114 E. Washington, and the month of March must mean that the beers being tasted are stouts. And so it is from 7-9 p.m. that more than two dozen Irish stouts, milk stouts, chocolate stouts, coffee stouts, Russian imperial stouts, and other such dark brews will be on offer, along with the requisite munchie buffet and, of course, the chance to win earthly riches, at least if your idea of earthly riches is t-shirts and glassware. Tickets are $25 in advance and $30 if purchased the same day. Call 734-213-1393 to order or stop by the pub. Early bird tickets are on sale for the Michigan Cask Ale Festival, to be held May 4 at Ashley’s Westland location, 7525 Wayne. This year’s edition of the largest such festival in the Mitten is bigger than ever, with at least 30 breweries from around the state, country, and world (world meaning the U.K.) invited to provide real ales. What’s a real ale? What are you, a n00b? (It’s OK if you are, by the way. Start here.) Anyway, tickets are just $25 until March 15, after which they rise to $30, and, if available, $35 at the door. Buy online here. It might as well be spring. Bill’s Beer Garden, 218 S. Ashley, returns for a sneak peek at the new season. Well, OK, it’s really just for St. Patrick’s Day. Look for Ann Arbor’s newest outdoor watering hole to open March 15-17, 5-11 p.m. Apart from another one-off weekend in April, regular hours will commence in May. 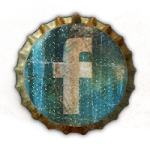 Follow Bill’s on Facebook for the latest. Gonzanova? Georgia Town? Duke of Earl? Oh man, this whole March Mania thing can be so confusing. But never fear — you can get professional help for filling out that bracket your co-workers are making you do so they can bump up the prize for the office pool. Just hit the Wolverine tap room March 19 beginning at 7 p.m. and, while you enjoy some high quality local beer, you can get advice from famous sports guys like Ira Weintraub, Sam Webb, and John Bacon. You may need to buy these gentlemen some beer though, I’m not sure. More details are here. The rumors you’ve heard (from me) are true: Your correspondent is writing a book on Ann Arbor’s illustrious beer and brewing history. Research is already well under way, and I’ve developed a list of people to interview (you know who you are, and if you don’t, you will). However, any hot tips, especially for groovy historical photos or photographable artifacts in private collections and whatnot, are more than welcome. 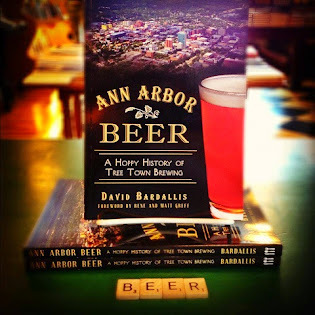 Hit up your author-to-be at annarborbeer@gmail.com. Please, and thank you. I’ll sign your chest when I’m famous, or something.